Do you remember Annette McCall? 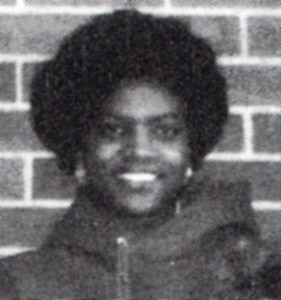 Annette McCall graduated in 1993 and was inducted into the Hall of Fame in 2015. 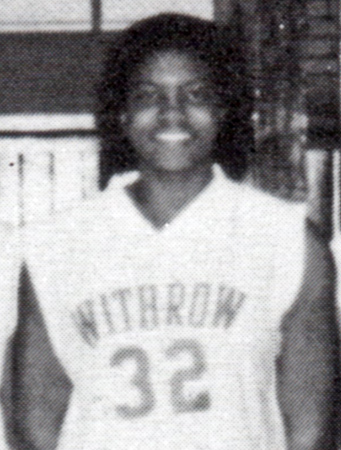 Annette McCall was outstanding in women’s basketball from 1991 through 1994 scoring 1,260 career points, the second-best scoring record in the school’s history. Annette was impressive off the boards setting the school record for women with 1400 career rebounds. As a four-year starter, Annette averaged an impressive “double-double” (15.6 points and 17.6 rebounds) during her high school basketball career. Annette was the City Rebounding Champion from her Sophomore through her Senior year and once had 38 rebounds in a single game. Annette had a remarkable game as a sophomore against Seton where she had 28 rebounds and scored 30 points. As a Senior, Annette averaged 17.7 points and 18 rebounds per game, was voted first team All-City, first team All-Southwest Ohio District and third team Associated Press All-State. Annette was the team’s MVP all four years and went on to play for the Junior Olympic Team in Barcelona, Spain. In addition to basketball, Annette was an impact player on the volleyball team and was voted first team All-City her Senior year. Annette was an International Baccalaureate Honor student ranking in the top 5% of her graduating class and was listed in “Who’s Who Among America’s High School Students” while being voted by her classmates as best all-around, most athletic and most respected student. Annette received a full athletic scholarship to and graduated from St. Louis University. Annette was inducted into the Cincinnati Public School Hall of Fame in 2014. Annette resides in Mt. Lebanon, Pennsylvania.